The nominee to serve as US ambassador to Germany has been stalled for several months. 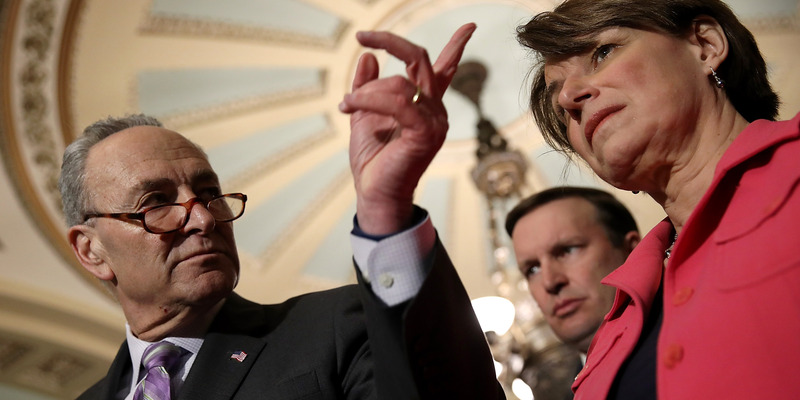 Democrats have been stalling moving forward, though Senate Majority Leader Mitch McConnell could force a vote. The ambassadorship’s vacancy is making things “more dangerous” for the United States, according to Republicans. WASHINGTON – President Donald Trump’s nominee to serve as US ambassador to Germany has been in limbo since last year, leaving open a crucial post amid disputes over key issues like trade and security. The State Department announced Richard Grenell’s nomination to serve as the top diplomat in Germany in September. Since then, Grenell’s nomination has passed through the Senate Foreign Relations Committee twice but not made it to the floor for a vote. In December, Senate Majority Whip John Cornyn expressed concern over the national security risks of leaving such an important post open. “I do think that by blocking these ambassadors it is making things more dangerous for the United States at a time when we ought to be using every diplomatic lever we have in order to keep the peace and avoid conflict,” Cornyn told Business Insider. The delay has prompted the White House to publicly demand his confirmation. Trump himself also mentioned Germany as a prime example of what the White House says is obstruction from Democrats. But more than six months after his initial nomination, at least one Democratic senator has placed a hold on Grenell’s confirmation, according to a source familiar with the matter. Every Democrat on the Foreign Relations committee told Business Insider that they are not responsible for the hold. The possibility also exists that the Democratic senator placing the hold is from outside the Foreign Relations Committee. The lengthy process has resulted in long delays for many cabinet and lower level executive branch nominees. Later on Wednesday, Graham told Business Insider that he is “dumbfounded” that the post has been left empty for so long. Graham added that he would be discussing Grenell’s nomination with Senate Majority Leader Mitch McConnell and whether a vote could be soon be forced. Grenell’s nomination initially drew fire from Democrats based on derogatory tweets he wrote several years ago taking aim at women’s appearances. Nevertheless, many Democrats, while still opposed to Grenell, want a vote and for the position to be filled.